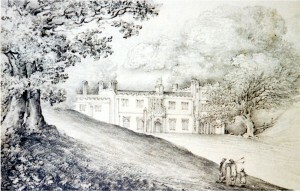 The Chart Park estate in Dorking was created by a merchant, Henry Talbot, who acquired a house called The Vineyard in 1746. Talbot enlarged the house, purchased adjoining lands, including Chart, and renamed the house Chart Park. He died in 1784, leaving the estate to Captain Thomas Cornwall, RN, husband of his only daughter Elizabeth. Cornwall died in 1796 and Elizabeth in 1802 when she bequeathed the estate to her friend and relative Sir Charles Talbot, bart, of the Mickleham branch of the Talbot family. He died in 1812 whereupon his executors sold the estate in 1813-14. The house and lands were bought by Henry Philip Hope who gave them to his brother Thomas Hope, owner of the neighbouring Deepdene. Thomas Hope demolished the house and merged the lands with the Deepdene estate.